The ACPA (American Chronic Pain Association) has a challenge that we at Alliance Spine and Pain Centers want to issue to our patients and followers as well. The challenge is called “Give a Squat for Pain”, and the focus is to bring attention to those who live with pain every day. A “Wall Squat” is the challenge, and the goal is to hold it as long as possible because one thing you will feel is pain after holding it for a period of time. This gives a taste of what people that go through pain everyday may experience. You can take the challenge in many different ways from just simply doing a wall squat, challenging friends and co-workers, or do it as a team. Don’t stop there though share on social media with the hashtag #GiveASquat4Pain and let the world know your acceptance of the challenge and awareness to the pain epidemic that affects so many people. 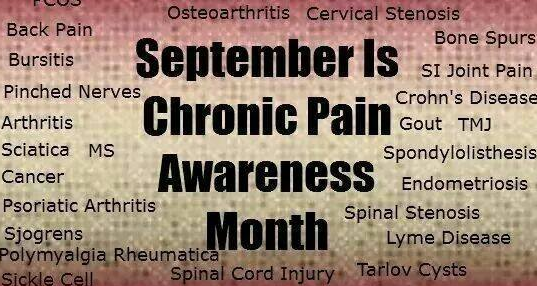 The entire month of September is Pain Awareness Month on an international level, and the goal is to increase the understanding so there is more assistance to those that are affected by it. At Alliance we have a team of highly trained medical providers and treatments that help people everyday who deal with chronic pain. If you or someone you know could benefit from pain treatment, contact us today at 770-929-9033 .